Majority of the ingredients in our kitchen that are used for cooking, are actually immunity boosters, capable of curing several lifestyle diseases, when used in the right manner. For minor illness, these can come in handy as first line of treatment, but, it is important to know how to use these items for treatment. Here are some suggestions by Ayurvedic experts which can be tried safely at home for minor ailments. 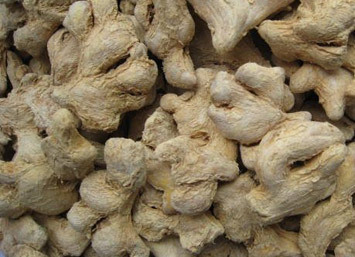 In all ayurvedic medicines, dry ginger (also known as ˜chukku in southern India) is a common ingredient, given, its carminative and digestive properties. Ayurveda believes that indigestion, in all levels of metabolism, is the root cause of all diseases. Hence, daily intake of dry ginger is recommended to keep illness at bay, says Dr. Neelakandhan Mooss, Vaidyaratnam Oushadashala, Kerala, India. Wash and crush dry ginger, add it to boiling water, and drink when cool. This can be stored in container and used instead of plain drinking water. This helps flush out toxins from the body, improves digestion, and even removes minor blocks from blood vessels. When dry ginger powder is mixed in a glass of water and consumed regularly, it could serve as best home remedy for gastritis. In fact, the very popular ‘chukka kaapi (Ginger coffee)’ is a south Indian specialty coffee full of amazing health benefits. Apart from ginger, the coffee also includes tulsi (Basil), black pepper, cumin, coriander, cloves, cinnamon, cardamom, coffee and jaggery. This drink works wonders in treating common cold, cough and mild temperature. In fact, latest researches have even proven that dry ginger, when taken regularly, can help develop immunity against cancer. During peak summer, buttermilk served with crushed dry ginger pieces and leaves of citrus lime plant, is excellent thirst-quencher, improves digestion, and helps keep away various illnesses that summer brings with it. Cumin seeds (jeera) are commonly used for culinary purposes. But, it is also an excellent immunity booster. Dry roast cumin seeds, and add it to boiling water, and use the drink as decoction for relief from gastritis, indigestion, and tiredness. For children suffering from mild asthma, powdered cumin seeds can be blended with a drop of honey, and can be given for temporary relief. Drinking jeera water helps improve digestion, while also quenching thirst. Not many of us are aware of the various medicinal properties of shallots. Shallots can help remove excess phlegm from the body, and also helps prevent gastritis. Including one or two shallots as part of your daily diet can help prevent diarrhoea/dysentery. Shallots are the primary mode of treatment for acidity. Add three to four crushed shallots to boiled milk and drink after breakfast to cure acidity. Turmeric is commonly used in Indian cooking to add colour and flavour to dishes. But, by now, we all know the immense medicinal properties of turmeric. People with allergies can include turmeric in their daily diet. It is an excellent blood purifier. When turmeric powder is mixed with honey and consumed, it also provides relief from throat pain and helps treat mouth ulcers. Turmeric is used to treat several ailments from common cold to diabetes. Asafoetida improves digestion by boosting flow of digestive juices in the body, while also treating gastritis and acting as a de-worming medicine. Just add a teaspoon of asafoetida to lukewarm water and drink to remain free of gastritis. In children ˜palkayam (a variety of asafoetida), mixed with a drop of honey, can be used as medicine to treat stomach pain. The black pepper is a common spice used for culinary purposes across the world, to add flavour and spice up dishes. However, it is an excellent medicine for all cold-related problems, including excess phlegm. Try to include more pepper into your daily diet, particularly during monsoon months, as this can keep cold and related symptoms at bay. For mild phlegm and throat pain, make a decoction by boiling tulsi leaves and black pepper in water, as it can provide instant relief. Corriander is an excellent medicine for indigestion, stomach upsets, nausea, and mouth ulcers. Crush coriander seeds and add to boiled water, and gargle after cooling it. It helps in relieving mouth ulcers and bad breath. Chewing coriander leaves can provide relief from gum problems, and tooth decays. Dry roast sesame seeds and powder it and store in an airtight container. Including small quantities of this into regular diet, can help in building strong teeth, bones and hair. Women with irregular menstruation are advised to consume a decoction of sesame seeds by adding a pinch of jaggery, on regular basis.